Minister Floyd Green with Jolita Butkeviciene, Director Latin America and Caribbean, European Commission, Directorate -General for International Cooperation and Development. Minister of State in Jamaica's Ministry of Education, Youth and Information, Floyd Green, is visiting Belgium and France this week to participate in the European Union Visitors Programme (EUVP) September 10 – 14, 2018. The EUVP is an individual study programme of the European Parliament and the European Commission that invites promising young leaders and opinion shapers from countries outside the European Union to visit EU institutions to gain a first-hand appreciation of the EU and how it works. 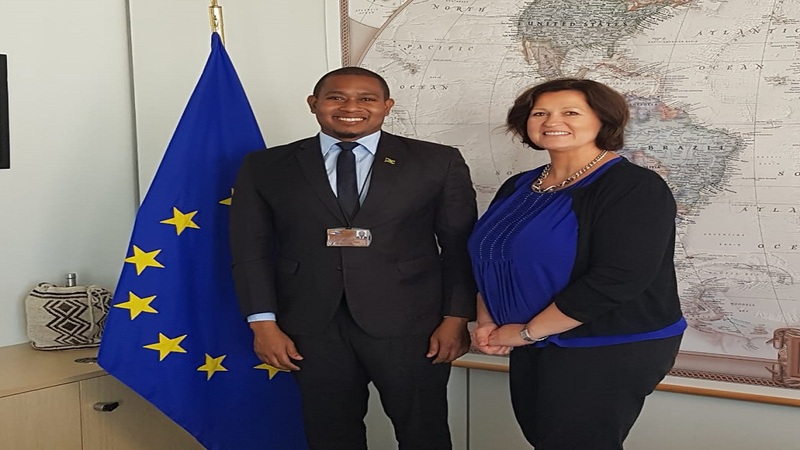 Minister Green's agenda includes meetings with European parliamentarians, directors and heads of unit of EU Institutions, including those who work on issues relating to the Caribbean, fisheries, blue economy, ocean governance, education, youth, the environment, agriculture and rural development. He will also visit the European Parliament in Strasbourg, France. "Being in Brussels, the centre of EU activities, has really given me a significant appreciation of the diversity of the EU and how much of a noble project the European Union is in trying to bring together diverse people from different countries around common values. The fact that they have been able to do so and even with their challenges, for me, is a positive signal of what is possible when we come together," Green said. "I'm sure that at the end of the day it will be quite a fulfilling and rewarding programme," he said. Each year, the EU Delegation in Jamaica proposes candidates for consideration to participate in the programme. The final selections are made through a committee of the European Parliament. 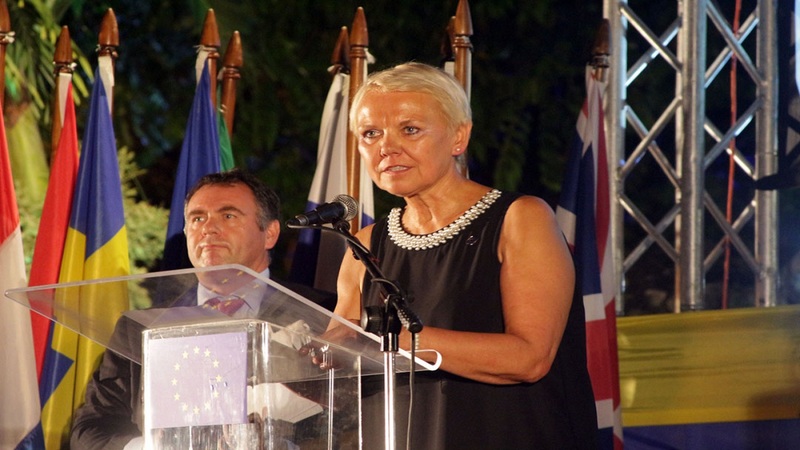 Head of Delegation of the European Union in Jamaica, Ambassador Malgorzata Wasilewska, said the EUVP and other such exchange programmes, help to improve understanding among professionals from different backgrounds, and build bridges between partner countries and the EU. "Jamaica and the EU share such a strong partnership, and what better way to strengthen that relationship than by bringing the people involved closer together so that they can share ideas and learn from each other?" she mused. The Jamaica and European Union partnership commenced in 1975 when Jamaica became a member of the African, Caribbean and Pacific (ACP) group of countries. Current EU development support to Jamaica is governed by the 20-year Cotonou Partnership Agreement which expires in 2020. 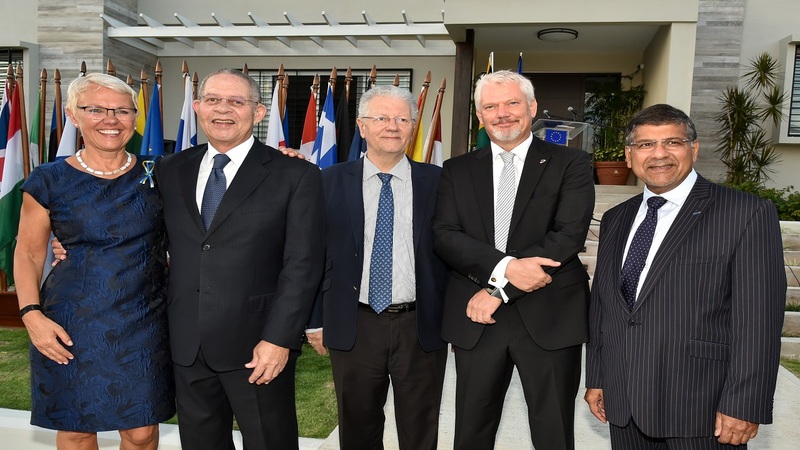 "The EUVP presents an important opportunity for Minister Green to influence understanding of the realities of the Caribbean and Jamaica among his counterparts in Europe. 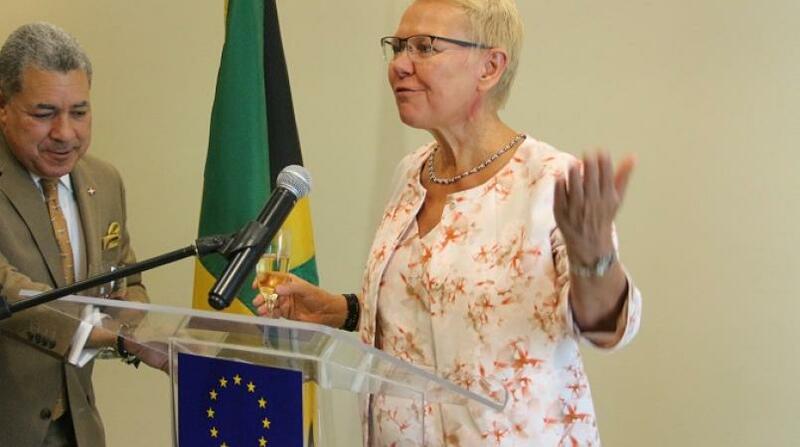 In addition, it has great networking value and can help to identify opportunities within the EU to advance Jamaica's development agenda, especially at this crucial time in the relationship between the EU and the Caribbean," said Ambassador Wasilewska. Some past participants in the programme are Minister of Foreign Affairs and Foreign Trade Kamina Johnson Smith; former Senator Imani Duncan- Price and General Secretary of the People's National Party, Julian Robinson.